Pioneers in the industry, we offer c type bellows, canvas bellows, rexine bellows, leather bellows, rectangular bellows and square bellows from India. 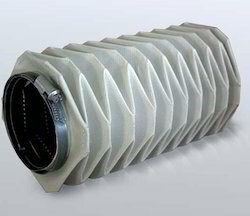 With the help of our skillful professionals, we are engaged in providing best quality C type Bellows to our clients. These type of Bellows are generally used to protect delicate parts of machineries in Cement, Steel, Pharma and Dairy industry. 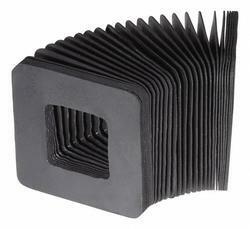 These Bellows are checked against various quality parameters as per the industry standards. Canvas Bellows are used in the heavy manufacturing industries for ducting, which is to provide the inlet and outlet of a blower. Apart from this, they are also used in discharge of industrial blowers. To meet the prerequisites of these applications, the canvas bellow is made from durable and good quality material that impart the necessary heat resistance. Due to this, they can handle pressurized hot air for a long period. They can be used for ventilation of air conditioning systems as well. As a benchmark of this industry, we are engaged in offering supreme quality Rexine Bellows to our clients. The offered Bellows are extensively used across various sectors for covering the parts of machines in order to protect them from wear & tear. We offer these products to the customers in a wide range of sizes and specifications as per their requirements. They can even customize the dimensions and sizes as per their machinery requirements. As a benchmark of this industry, we are engaged in offering supreme quality Leather Bellows to our clients. The offered Bellows are extensively used across various sectors for covering the parts of machines in order to protect them from wear & tear. 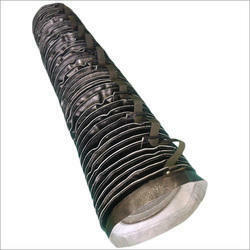 These Bellows are used for covering the matal parts of machines in Cement, Textile, Steel Industries. We offer these products to the customers in a wide range of sizes and specifications as per their requirements. 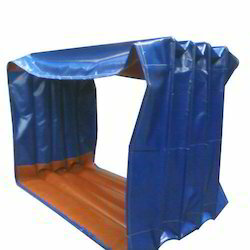 Our organization is one of the most reputed firm in providing Square Bellows to our clients. We offer these products to the customers in a wide range of sizes and specifications as per their requirements. We offer these products to the customers in a wide range of sizes and specifications as per their requirements. They can even customize the dimensions and sizes as per their machinery requirements. 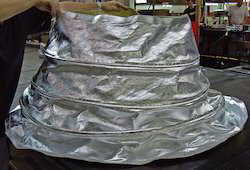 Our organization is one of the most reputed firm in providing Circular Bellows to our clients. We offer these products to the customers in a wide range of sizes and specifications as per their requirements. We offer these products to the customers in a wide range of sizes and specifications as per their requirements. They can even customize the dimensions and sizes as per their machinery requirements. As a benchmark of this industry, we are engaged in offering supreme quality High temperature Fabric Bellows to our clients. These Bellows are extensively used in hot air furnace for protecting the inner parts from wear and tear. 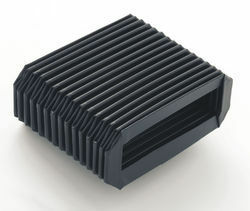 These Bellows are resistant to very high temperature. As a benchmark of this industry, we are engaged in offering supreme quality High temperature Expansion Joints to our clients. The offered Expansion Joints are resistant to thermal expansion and high pressure as well. The offered Expansion Joints are properly checked on different provisions of quality in order to make certain our zero defect policy. 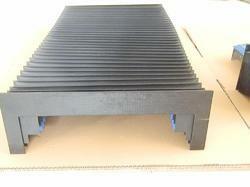 These Expansion Joints are available at industry leading prices. The Rubber coated Fabric Bellows are generally used where there is regular flow of water and continuous movement of machines. 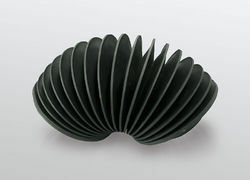 We are also engaged in manufacturing and exporting of wide range of Rubber coated Fabric Bellows. We offer wide range of Bus Duct Bellows which are fabricated from natural, EPDM, Neoprene, Silicone elastomer. The offered Bellows are properly checked on different provisions of quality in order to make certain our zero defect policy. 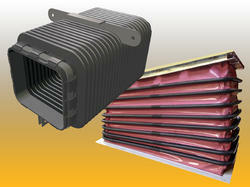 These Bellows are available at industry leading prices. Looking for Industrial Bellows ?